Professional videographers and filmmakers are using drones to shoot fantastic videos, and so why should bloggers fall behind? These days, people are consuming video much more than any other year before today, leading a lot of online influencers and content creators to use a drone for vlogs and other online video content. If you’re a blogger, this article will show you some nifty tricks to use a drone for your future videos. One of the most popular ways to use a drone is capturing aerial footage. When used properly, this could be an effective technique to show a new perspective in an otherwise conventional setting. The ability of the drone to capture aerial shots has given event videographers the opportunity to shoot overhead, record sweeping videos of crowds, and reach new heights that no handheld video camera can achieve. One of the best uses of the drone is for travel blogging. Aside from shooting from a human first-person perspective, a drone can record areas of your trip that you cannot otherwise reach using your handheld camera. If you use the drone for your travel blog, it will give your followers the unique opportunity to witness popular destinations on a different perspective. Bloggers may arrive at locations where the terrain may be unstable or visibility is low. In these cases, a drone provides a safety net to check the area first before stepping in. Otherwise, they may get into the risk of falling into a partially hidden hole or tripping over hazardous plants. What’s great about drones is that you can control its movement so that you can maneuver it through difficult-to-reach areas. It lets you see what lies ahead so that you can prepare your next steps. Taking closeup videos of moving vehicles may sound impossible if you’re holding the camera manually, but not if you use the drone. Drone speed is important if you’re blogging about moving things such as cars, flying and running animals, and sport events. Some modern drones boast of 100 kph speeds, while military-grade or competitive variants can fly much faster. Most drones catch people’s attention immediately, especially when the device is suspended in mid-air. This is a perfect strategy to promote your blog – why not attach a banner that shows your blog URL and logo? Putting your branding on the drone increases the potential for people to recognize your blog in the future. Buy the best drone you can possibly use. Naturally, you need to use one of the best drones in the market to make your videos pop out. Plan your shoots. Never go to a location and then think about how you’re going to use the drone. You need to have a storyboard so that you know what the drone needs to capture. Don’t resort to fooling your audience. It’s easy to cheat your way into using a fake drone, but the video capture that a real drone makes simply cannot be replicated especially when shooting at high altitudes. Maintain your drone. Learn how to take care of the drone, from storage and cleaning to proper use and regular maintenance. Shooting videos are easy these days, thanks to the availability of useful devices like the drone. 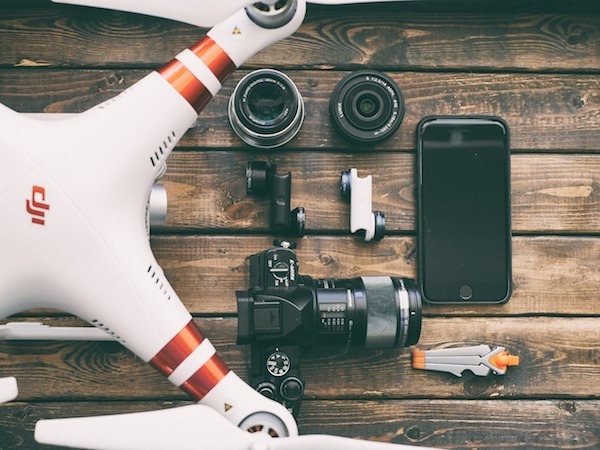 By knowing how to effectively use a drone, bloggers can keep up with the content demands of their followers by allowing them to produce exceptional videos that only a drone can capture.